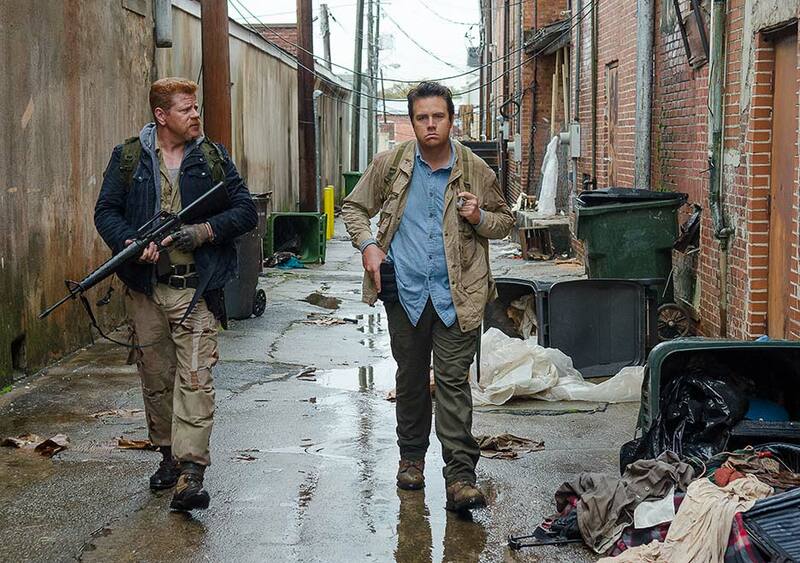 The Walking Dead's season finale approaches, and each week delivers even more and more tension. What did we think of the latest installment? Let's find out. Spoilers! The Walking Dead is rated TV-MA and contains graphic content. This episode began with a feeling of dread and intensity and kept me on the edge of my seat until it was over. Despite the two previous episodes featuring high-danger situations and big conflicts, I found this episode to be more nerve-wracking and frightening. I think I've mentioned before how much I love the parallels the writers work into the show. Denise and Eugene faced big obstacles in this episode and fought their own inner battles to overcome fears and to prove they can handle the dangers of the world, not necessarily to themselves but to their peers (which was a different take than what we usually see). Denise and Daryl were developing what seemed to be an interesting friendship, and in this episode, we were able to see they actually came from similar backgrounds and how it influenced the type of people they became. Ever since she was introduced in the show, it's felt like there was more to her character than what we'd seen. I was looking forward to learning more about her, and while this episode delivered that backstory and character development, it also ended her story. I think her death was one of the saddest this season because it happened so suddenly. (I'd spent the entire episode expecting to see Abraham die, so Denise's death really surprised me.) 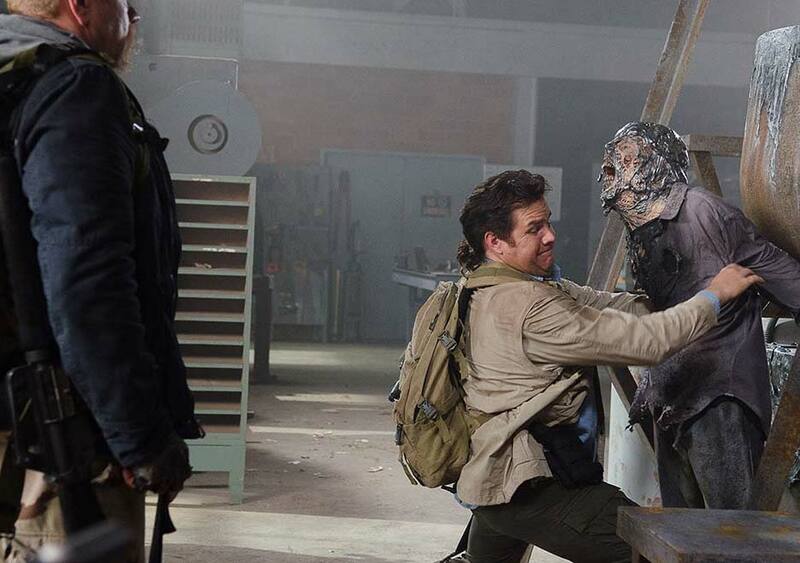 I'm curious to see how it affects the other characters, especially Tara, Daryl, and Rosita. Daryl got his bike and his crossbow back! That being said, I'm inclined to think his trip out of Alexandria may not be so much about finding Carol as it is about killing Dwight. I'm curious about what happened to Dwight since we last saw him. Is he an independent threat or is he working with the Saviors? 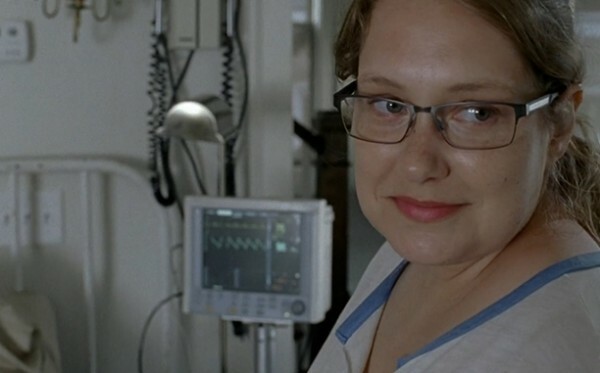 Allowing the town's only doctor to go out savaging has got to be one of the worst decisions ever made on The Walking Dead. I thought that Denise was going to be eaten by a walker in this episode, but her ending was worse in my eyes. I'm assuming that her reason for the trip was that she needed to prove to herself that the can be independent and that she could tell Daryl and Rosita how important they really are. But we'll never know the real reason. 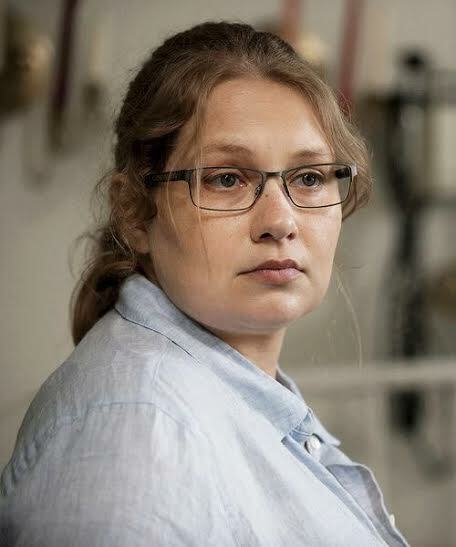 Denise had the least amount of character development that a main character has had so far this season. She had the moment with the Wolf and her relationship with Tara, yet it all seems like it was one huge slap in the face to Denise. She proved that coasting through this world isn't an option and that proving to yourself that you can make it on your own can be a dumb choice. Strange message, but hear me out. Proving that you have the strength to move on through hard times is an amazing feat, but risking your life in the process isn't. Especially in this world, relying on others for backup won't make you incapable of achieving greatness. The baby shoe in the sink left me with unnerving questions as to what happened with the child. "Hush" was scribbled all over the wall, and that leaves me to believe that the walker on the ground was driven mad by the child's cries and drowned the baby in order to keep away the walkers. What was your take on this scene? Jumping over to the Eugene/Abraham situation...I am super pumped about them making their own bullets! One point for brains! Speaking of the cranium, the lead covered walker was EPIC! Eugene gives his opinion on his new transformation, and I am so happy that he has the gonads to fight for the group now. Dwight's gonads didn't do too well in this episode. After interrupting Denise's speech with an arrow, the episode takes a sharp turn. Thank you, Denise, for taking the arrow for Abraham. In the comics, it is Abraham who gets an arrow through the brains during this situation in the comics. I'm not ready to let go of our witty soldier yet. Another point for brains tonight as Eugene's diversion results in the escape of our gang. For those of you wondering what happened to Dwight's face, you'll find out when the big bad comes into the story line. 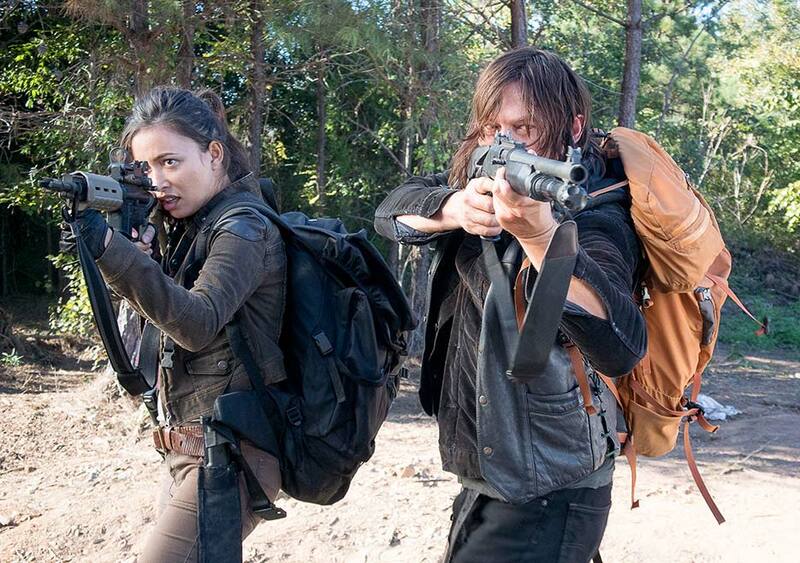 Now Daryl has his bike and his crossbow back! On the downside, Carol is gone again. I have no clue what is going to happen with her, and that terrifies me. Ugh. I feel cheated. I wanted to see so much more from Denise. I wanted to find out who she was, discover what drives her, and get to know her better. And in this episode, we did. But we also got to see her die. Ever since Tara left for the supply run, I've been nervous for both she and Denise. The last conversation they had seemed primed for one half of the couple to die. I wondered if maybe Tara would die, but I had no idea it would be Denise. This turn of events was a complete surprise. I kept expecting Denise to die during the beginning of the episode. She had two run-ins with walkers, and each time, I was holding my breath. I finally let myself relax when she started giving her speech to Rosita and Daryl. I thought that this would be an awesome development moment for her moving forward. I thought from here on out we'd see a newer, stronger, better Denise. I feel cheated out of what I know Denise could have added to the show. I know I'm never happy about the deaths on this show, and sometimes lives are cut short. But in Denise's case, I feel like it was cut short much too soon. For one, Denise provided valuable representation. She was one of the few LGBTQ characters on the show, and in a world where representation for the LGBTQ community is limited, that mattered. Additionally, Denise's death isn't the only one--she adds to the toll count of 146 dead lesbian or bisexual people in fiction. The amount of times a bisexual or lesbian character ends up dead has even created its own trope, and Denise is just one more example. Yes, The Walking Dead has killed plenty of non-LGBTQ characters, and I believe that on a show like The Walking Dead, no one should be truly safe. But representation is so limited and LGBTQ character deaths are so prevalent that Denise's death is still extremely aggravating. I wish we had a better reason for why she died, but currently, it just seems pointless. Honestly, I loved Denise because I related to her. She had glasses, and she had a body type similar to mine. She was unnerved by what was going on around her, but she still rose above it and did the best she could. She cared for the citizens of Alexandria, and she cared, period. But ultimately, she was a strong character, and I'm sad to see her go. The rest of this episode was difficult for me to get into because it moved pretty slowly, but when the big moments happened, they wowed me. I loved Eugene and Abraham's character arcs, and Eugene defending himself by getting in a well-placed crotch-shot... well, consider me officially impressed. That's an iconic moment that will probably be remembered till the end of time. For me, it's right up there with Rick killing that guy by biting into his neck. I'm really interested to seeing what will happen with Morgan and the prison he's building. The questions of morality are getting intense on this show. 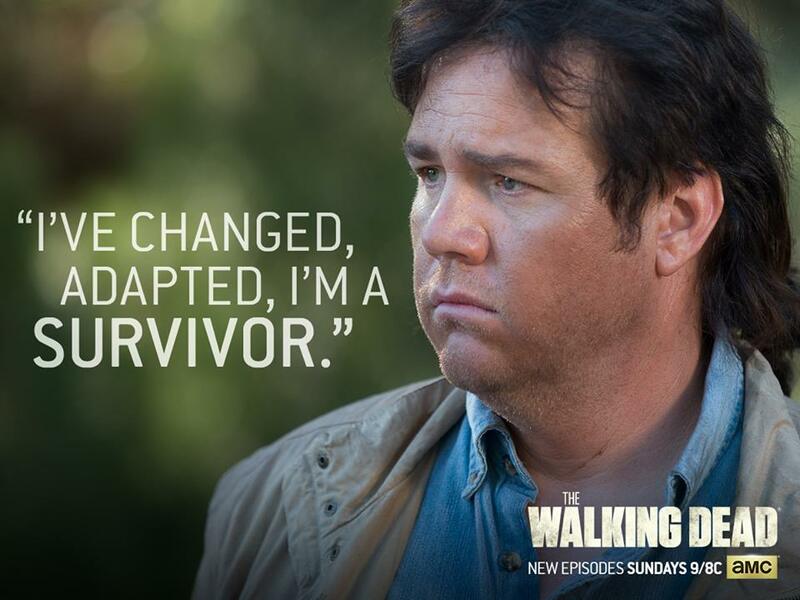 For example, if Daryl had killed Dwight way back when ("Always Accountable"), Denise wouldn't be dead. But, as my brother noted, Morgan wouldn't even be alive today had Eastman killed him instead of locking him up ("Here's Not Here"). There's truly no way of knowing whether you should leave someone alive or not, and that's a hard thing to face. I'm interested in the way The Walking Dead is tackling these issues head-on. I'm so worried about Carol. I get why she's leaving, but like Jameson, it feels pretty rushed to me. I also don't want all her badass-ness to go down the drain. And let's face it: I just don't want to lose Carol, period. Here's hoping we don't. We're only one episode away from the season finale, and I'm so nervous. Tune in next week to hear me say the exact same thing. Tune in the week after that to see me crying about the finale (probably). Have you seen "Twice as Far"? What did you think of it?